Fibrin, a homologous polymer, is the natural scaffold of wound healing and therefore a candidate as a carrier for cell transplantation. We explored a novel matrix-based implant cartilage repair composed of both fibrin and hyaluronan in a defined ratio that takes advantage of the biological and mechanical properties of these two elements. 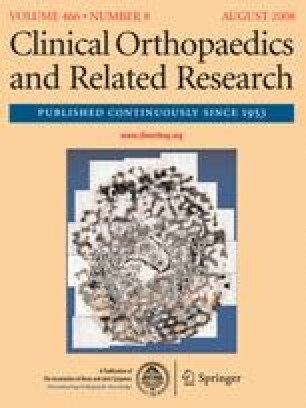 The matrix was seeded with autologous chondrocytes expanded in the presence of a proprietary growth factor variant designed to preserve their chondrogenic potential. We prospectively followed eight patients with symptomatic-chronic cartilage defects treated with this carrier. Patients had arthroscopy to harvest autologous chondrocytes then grown in autologous serum. Chondrocytes were cultured in the presence of the FGF variant and then seeded on the fibrin-hyaluronan matrix. About 4 weeks following biopsy, the patients underwent implantation of the constructs by miniarthrotomy. Three of the eight patients had transient effusion. Clinical performance was measured by Lysholm and IKDC scores, MRI, and the need for secondary surgery. The clinical outcome of a 1-year followup demonstrated increase of clinical scores. The MRI followup showed good filling of the defect with tissue having the imaging appearance of cartilage in all patients. Apart from the transient effusion in three patients we observed no other adverse events during the followup. One or more of the authors (SN) certifies that he or she has received funding from ProChon to support this project. Two of the authors (AY, HB) are salaried employees of ProChon. We thank Roni Wechsler and Ann Avron for critical review of the manuscript. Furthermore we thank Christoph Buchta for preparing the patients’ serum and Siegfried Trattnig for reviewing the MRI studies.